The Oregon Trail Facts will tell the readers about the emigrant trail and wagon route which linked the valleys in Oregon with Missouri River. The trail had the length of 3,490 kilometers or 2,170 miles. The future of state of Kansas was located at the eastern part of Oregon Trail. Almost all areas in Wyoming and Nebraska were included in the eastern part. The future states of Oregon and Idaho were included as the western of Oregon Trail. The Oregon Trail Facts 1: who accessed the Oregon Trail? 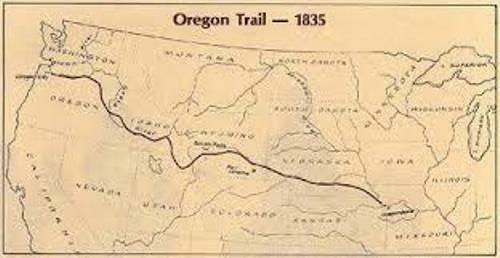 In 1811 until 1840, the fur trappers and traders laid the Oregon Trail. At that time, they had to ride the horse in order to pass the trail. Get facts about Trail of Tears here. The cleared wagon train was spotted as far as Fort Hall, Idaho by 1836. Then it was expanded into the west. Finally the trail reached Willamette Valley, Oregon. There were around 400,000 farmers, settlers, ranchers, business owners and miners who used the Oregon Trail from the beginning to the mid-1830s. 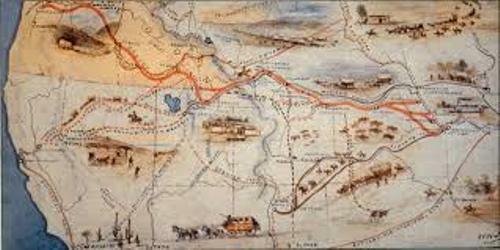 The travelers on the Bozeman Trail, Mormon Trail and California Trail also used the eastern half of Oregon Trail. 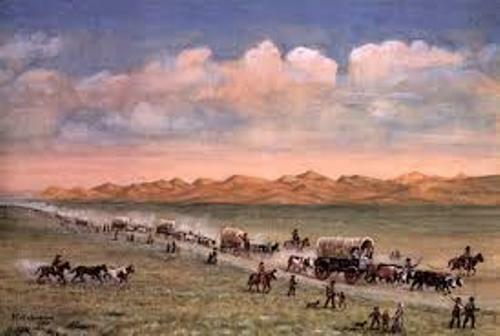 The usage of Oregon Trail declined rapidly after the development of the first continental railroad. In 1869, the railroad construction was finished. Therefore, the people could enjoy safer, cheaper and faster trip to the west. The parts of the similar westward courses are spotted in the modern highways. They include Interstate 84 and Interstate 80. 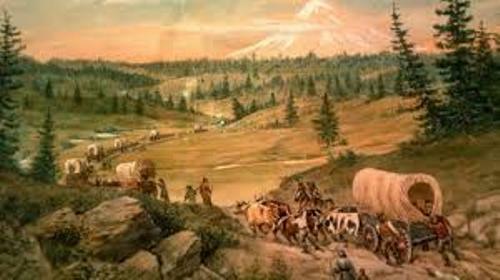 The Trail Oregon pioneers used three types of packs and draft animals. They included horses, mules and oxen. The people believed that the best animals to pull wagons were oxen by 1842. They could tackle the difficult terrain like mud and snow. Moreover, they had healthy body and docile behavior. When the migrants accessed the Trail Oregon, they needed to concern about the water and food. They often took hardtack and crackers. The migrants who accessed Trail Oregon only took two until three pieces of clothing. They also had several pairs of boots. Find facts about Cayman Islands here. Do you have any comment on facts about the Oregon Trail? Let’s find out Slavery in America Facts if you want to know the history of the African American people.